Remember that one time I wrote about my trip to New Orleans and then did a copycat recipe for this Bacon Wrapped Shrimp dish I had while there. 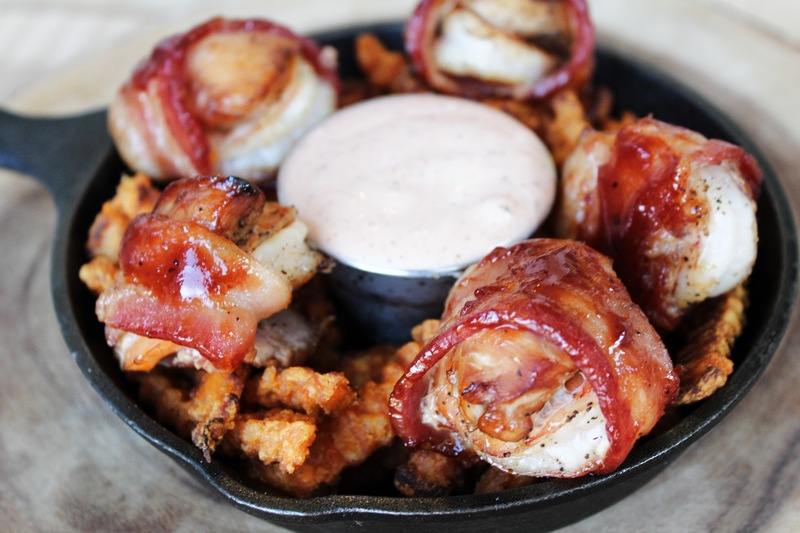 So yeah, that was the first time I had shrimp wrapped in bacon. With those two ingredients you can’t go wrong. 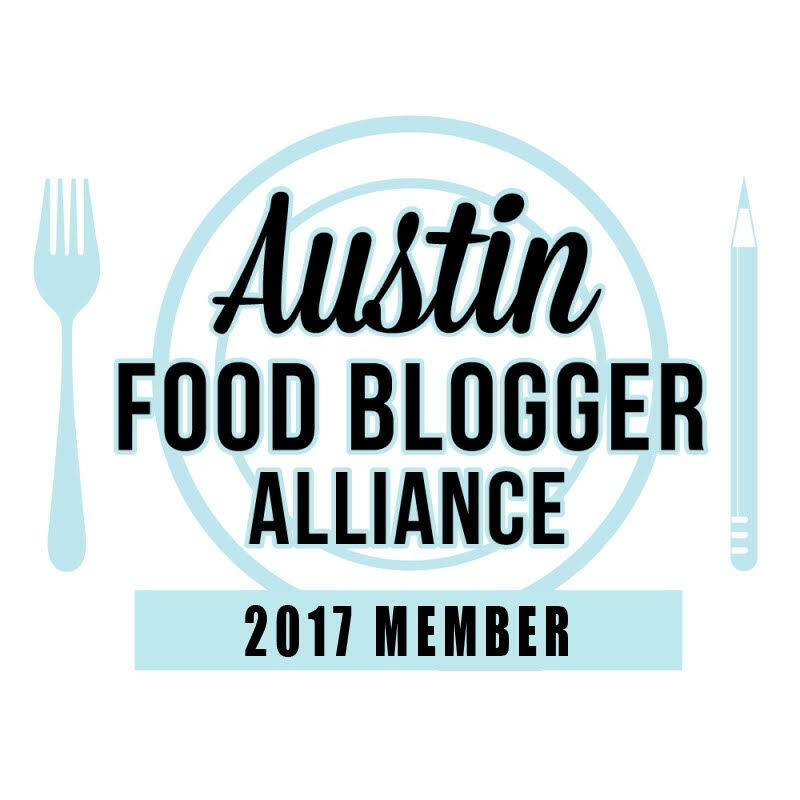 Last month, the staff went out to eat at Saltgrass for a little celebratory lunch and the Shrimp and Chicken Enbrochette caught my eye. Hello, shrimp, chicken, bacon, and BBQ sauce. It’s like the trifecta of goodness slathered in sauce. So, of course I had to make it as an appetizer to watch my team play on Sunday. That’s one of my favorite parts of football season – the food! Rather than cooking this up on the grill or stovetop grill, I cooked these in the oven and went with the frozen variety of sweet potato fries instead of onion strings. Served with the Pioneer Woman’s Fry Sauce and you have a winning dish. 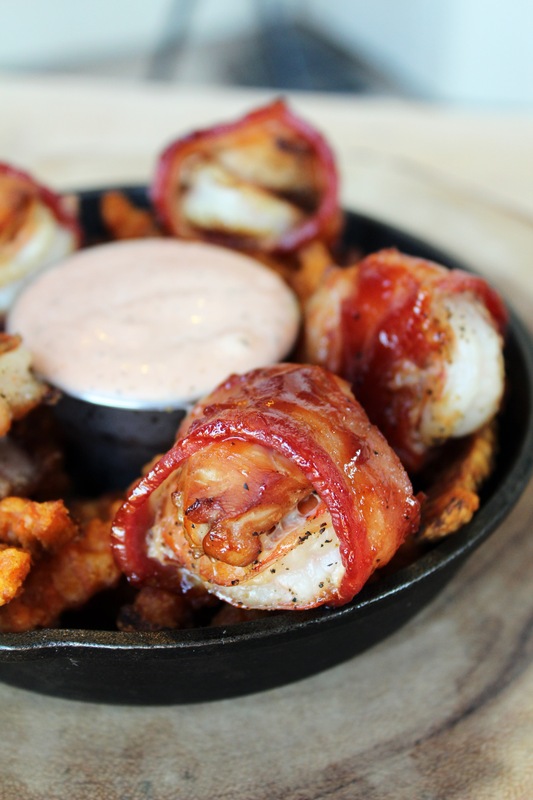 Chicken and Shrimp wrapped in Bacon and coated with BBQ sauce. In a small mixing bowl, add chicken and Teriyaki sauce. Mix together to coat. Place in the refrigerator for 1 hour. On a foil lined baking pan, place twelve pieces of bacon. Top with shrimp then a cube of chicken. 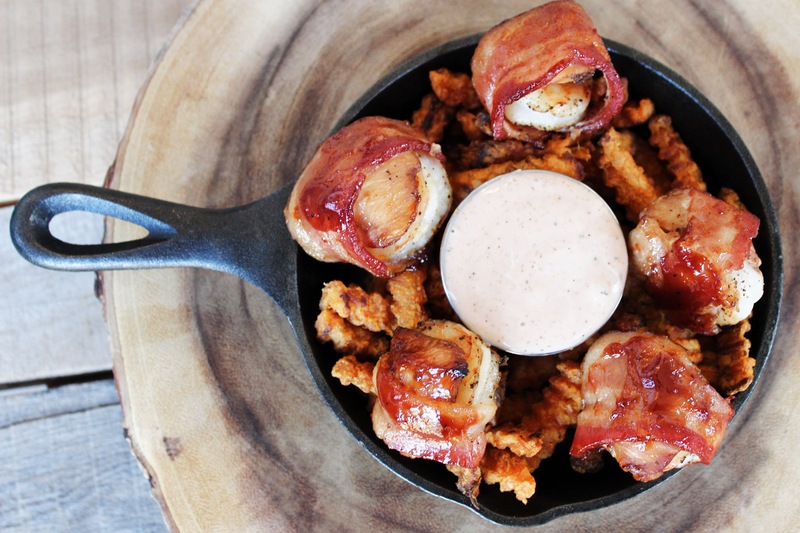 Wrap bacon around shrimp and chicken and place seam side down. Place in the oven and bake for 12 minutes. Flip pieces over and cook for additional 10 minutes or until bacon is getting crispy. Take pan out of the oven and turn broiler on high. Brush BBQ Sauce on one side and place under broiler for 2 minutes. Flip over and brush on other side and broil for 2 minutes. Serve with fried onion strips or sweet potato fries - and try that fry sauce! You can buy these cute little 6.5 inch Lodge Cast Iron Skillets at Amazon. *Note, that is an affiliate link. At no cost to you, Amazon gives me a teeny tiny commission for sending you their way.